I grew up in a typical post-war neighborhood in Memphis, Tennessee. Like most kids, I rode my bike all over my neighborhood and surrounding neighborhoods. During the late 80s & early 90s I lived in an area with a more-or-less grid layout of streets. Residential and collector cross-streets created blocks that led to larger, faster arterial roads between neighborhoods. Local businesses were often located near the ends of these blocks. The parallel residential streets made cycling route choices easy, and kept me from “mixing it up” with faster traffic on arterial roads. During high school, my family moved farther out of town, into a nearby suburban area. There were still a number of route choices, but businesses were much farther from residential areas. Walmart, the nearest major store, was a 15-20 minute ride. Not knowing any better, I tried my best to ride on sidewalks whenever I was riding anything but the quietest residential roads. When I began searching for my own first home after college, cycling wasn’t on my radar. My wife and I live in an isolated residential subdivision in a typical American suburb outside of Memphis. Until recently I had one choice to get out of the subdivision: A two-lane 35 MPH collector road with a two-way center-turn lane. This road is lined only with subdivision access points and no sidewalks. Auto traffic is king. There are few connections between neighborhoods. 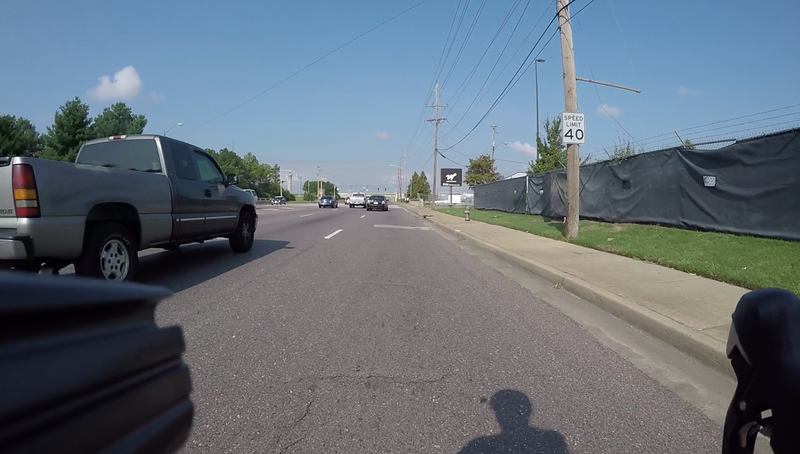 In order to cycle anywhere in my town, it’s almost required to take a 40- to 45-MPH arterial or at least a 35-MPH collector road at some point. 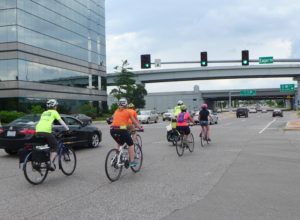 When I got back to cycling as an adult in 2012, I was the typical novice: Always nervous about what was behind, riding as far right as possible, wondering when that next car would come up behind me and trying to stay out of the way as much as possible. Like many cyclists report, close “buzz” passes were a daily occurrence. In May 2013 I wanted to commute to work, but at first didn’t think it was possible. My office is 14 miles from my home, in the next neighboring suburb. The only connections besides the interstate are two-lane roads with no shoulders. One of those is a 55-MPH heavily-traveled US highway. But I pored over Google Maps, and eventually figured out the best route with the least traffic. So I went for it. Not long after I started commuting, I discovered Facebook groups dedicated to cyclists’ rights to use the full traffic lane, instead of cowering over at the far right edge. It was most likely from those groups that I first heard of CyclingSavvy. I started looking at CS concepts and infographics, and watched some videos. One video in particular made a real impact. It’s on my favorite CyclingSavvy page, “Why Do You Ride Like That?” This page is “must” reading. 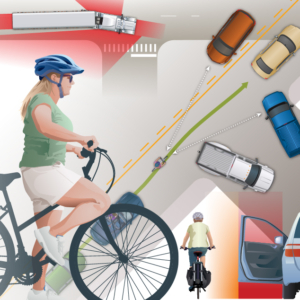 I often send the link to others to learn about CyclingSavvy and traffic cycling. On the page there’s a video titled Lane Control v Right Tire Track. 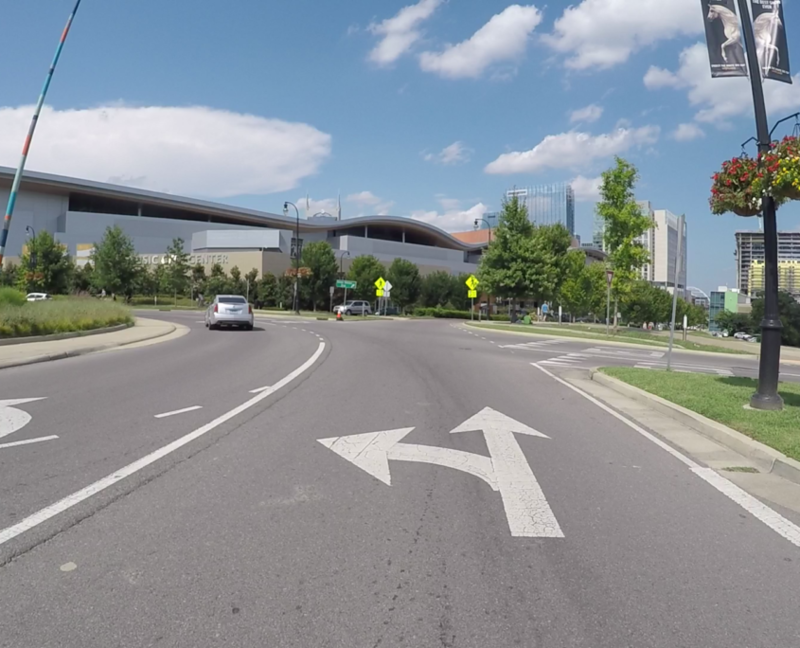 In it CS co-founder Keri Caffrey is in a car, videotaping CS co-founder Mighk Wilson riding along Orlando’s University Boulevard, a typical American wide arterial road. The video starts with Mighk riding in the “left-tire-track,” basically positioning himself where the driver of a car sits. The second half shows him not controlling the traffic lane. He’s riding in the “right-tire-track” position, closer to the edge of the road. When you watch the video, you’ll clearly see how other drivers treat Mighk based on his lane positioning. The difference in motorist passing distance, visibility and general motorist behavior is stunning. All of a sudden things just “clicked.” I had to try it! First, by being fully aware of my surroundings, including behind me and to the sides, my confidence on the road and among traffic took a HUGE leap! No longer did I have to ride in fear of when that next car was coming. I knew when a car was there and could react as I saw fit. Second, close “buzz” passing by motorists nearly vanished overnight! Suddenly I went from getting a few buzz passes every week to only a handful in an entire YEAR! Even though I understood and practiced CyclingSavvy principles on every ride for a couple of years, I knew there was more to learn. Unfortunately there were no classes or instructors in my area. Then I heard about a workshop being offered in St. Louis, only a few hours’ drive and also one of my favorite cities. My wife and I drove up with our bikes and made a weekend vacation out of it. The class was awesome, especially the experiential city tour with our new friends. We rode all over town, and on major roads. Not once did we have any problems with motorists. No close passes, no honking, no yelling or anything else. I learned new techniques like “right turn on green” to get a large gap in traffic platoons, and moving left early when there’s no one else on the road to set up easily for a left turn. Since completing CyclingSavvy, with many thousands of miles under my belt, I find it easy to cycle just about anywhere I need to go. 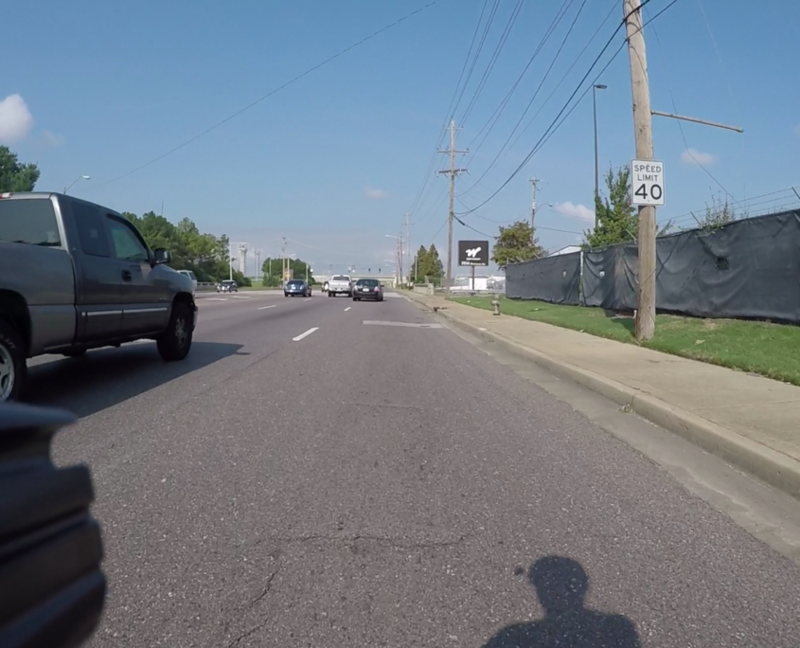 While nearby Memphis has been making great strides in cycling in the past 10 years, my town had no specific bike infrastructure whatsoever for decades, until just 10 months ago when the city’s first bike lanes were installed. Even before those, it hasn’t been a problem to bike almost anywhere. These days at least 80 percent of my cycling is for transportation/direct replacement of car use. I go on recreational rides every now and then, but I mostly enjoy cycling as a way to get somewhere. At this moment I’m celebrating a personal milestone: For the first time ever, in the last six months my cycling miles have exceeded my car miles. This is astonishing to me! 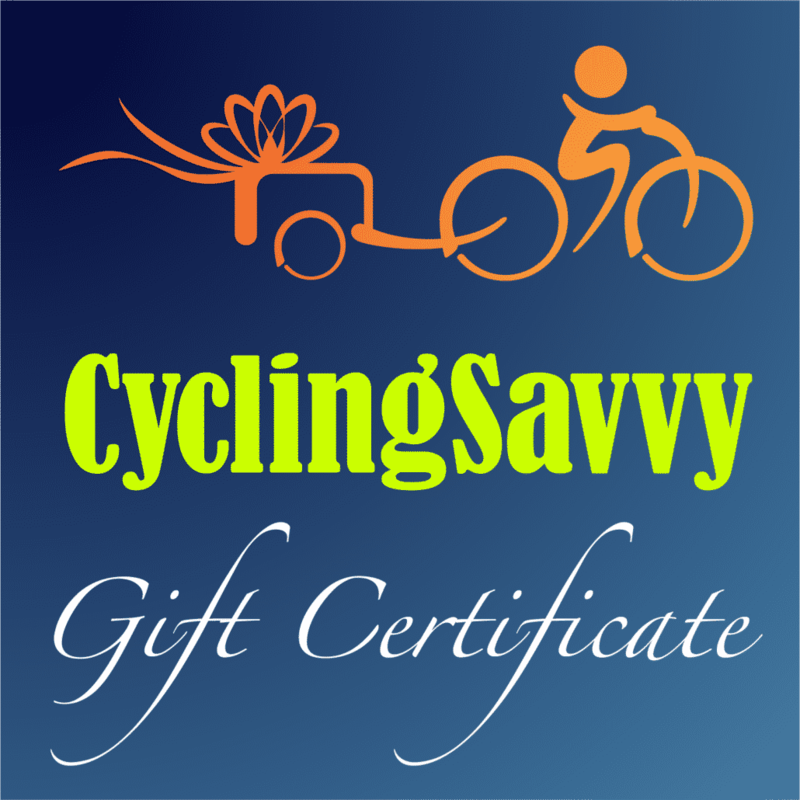 Using CyclingSavvy techniques, I confidently cycle on almost any surface street, from the quietest residential roads to the busiest multi-lane arterials. I’ve even made video demonstrations showing how easy it is to get through interstate interchanges when you control your traffic lane and use the lane best suited for your destination. 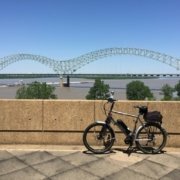 Since I’ve added an electric-assist utility bike to my stable, I recently conquered an interchange I never thought I’d ride on. 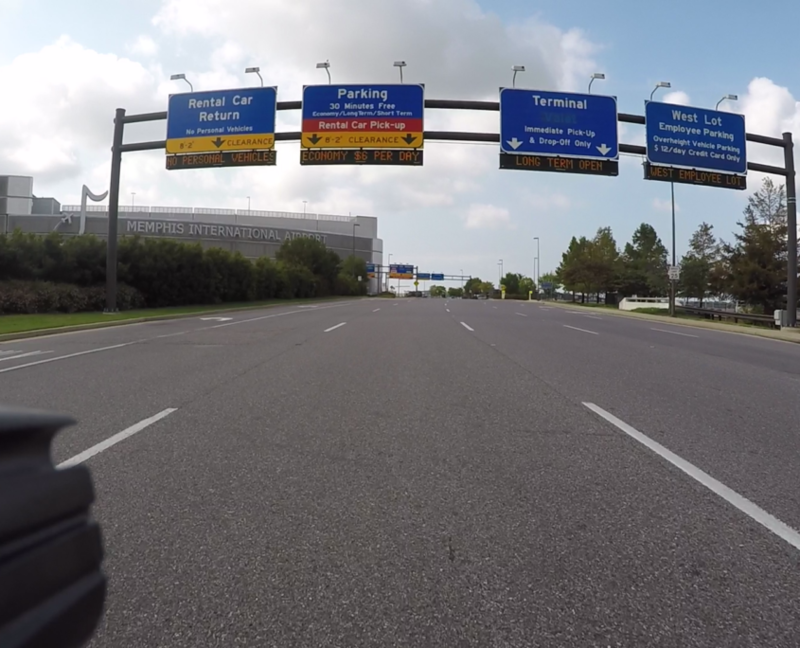 I’m a fairly slow rider, but with the e-bike I was able to get across the overpass quickly, efficiently and safely. Make no mistake, I use cycling infrastructure when it makes sense to do so. CyclingSavvy showed me how to ride anywhere safely and confidently, infrastructure or not. CyclingSavvy opened up a whole world of cycling possibilities for me. While I do wish for more pedestrian accommodations in my community and more connections between neighborhoods, I no longer depend on those things. I don’t let the lack of bicycle-specific accommodations or connections limit where I go. 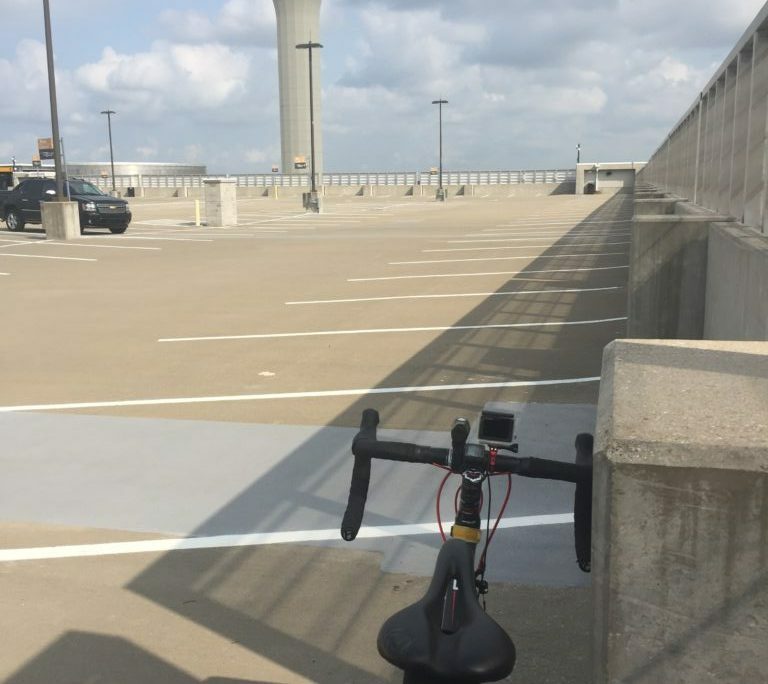 With CyclingSavvy, you really can bike anywhere. CyclingSavvy helps us avoid opening car doors, making a city ride much less stressful! 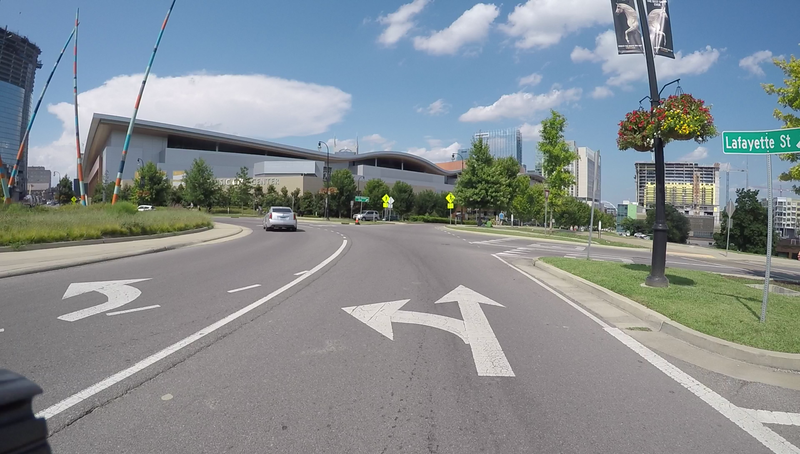 Controlling the lane makes roundabouts an easy proposition. A wide, seven-lane road makes it feel like the right lane is my own personal lane! 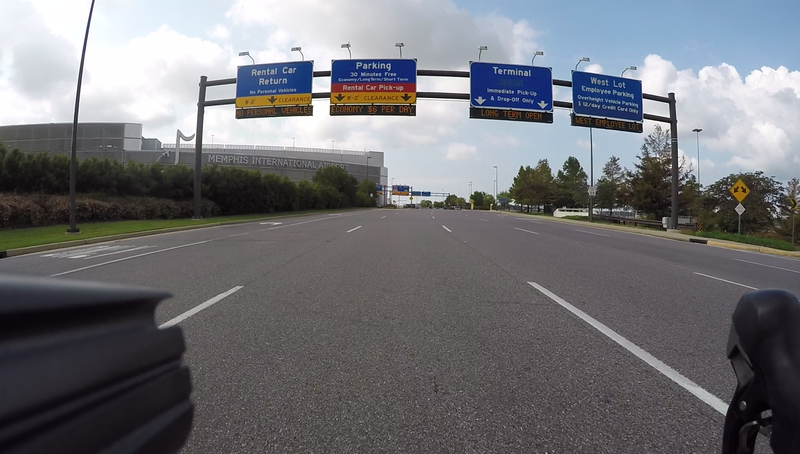 Using the lane best suited for my destination to cycle to Memphis International Airport, despite no specific bicycle access. I’m heading for the top of the parking garage to get a good view.